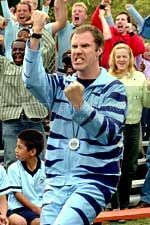 I watched Kicking and Screaming. It was a relief to watch after seeing Bewitched. I'm happy to say Will Ferrell is funny again.